[HarperCollins] A New York Times bestseller, USA Today bestseller, Wall Street Journal bestseller, and Publisher’s Weekly bestseller. 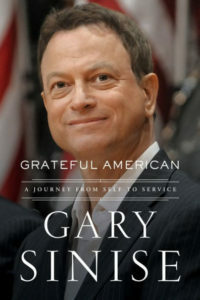 Theater icon, award-winning film and television star, and American patriot Gary Sinise shares the never-before-told story of his journey from trouble-making Chicago kid to cofounder of the legendary Steppenwolf Theater Company, world-famous actor, and tireless advocate for America’s active duty defenders, veterans, and first responders. Enjoy the moving, entertaining, never-before-told story of how one man found his calling. 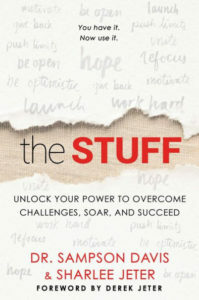 [Simon & Schuster] Dr. Sampson Davis and Sharlee Jeter share stories of amazing people who’ve overcome great obstacles and shown their “Stuff,” while challenging and guiding readers to unearth and use the same fortitude and grit within themselves. [HarperCollins] A National bestseller and Publisher’s Weekly bestseller. 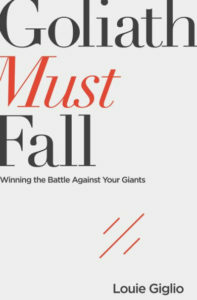 Author, speaker, and theologian Louie Giglio offers a reinterpretation of the story of David and Goliath that likens the giant in the story to threats such as rejection, fear, and anger. 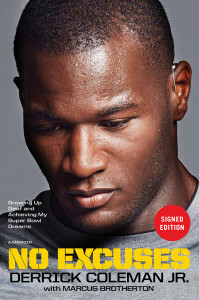 [Simon & Schuster] The first deaf athlete to play offense in the NFL (and win a Super Bowl with the Seattle Seahawks!) 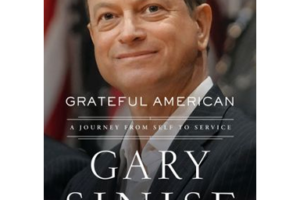 relates his inspirational story of hard work and determination in his own words. Great for readers of all ages. [River North] Dive into Marcus’ widely-acclaimed novel, winner of a 2015 Christy Award for excellence in fiction, and recipient of the “Editor’s Choice” distinction from the Historical Novel Society. Inspired by a true story and set in 1946, Sergeant Rowdy Slater is an elite incorrigible paratrooper who returns home to Texas from WWII. Remorseful about his role in a bank robbery, he is offered a deal by the sheriff: serve one year as a community minister or go to jail. This is a wild ride of a book bursting with kidnapping, desperate prayers, and barroom brawls. 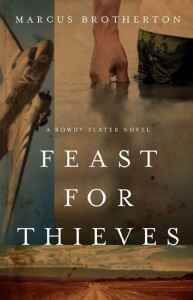 Order FEAST FOR THIEVES today. 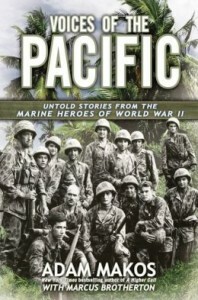 [Penguin] Be inspired by the much-awaited oral history project with the Marines featured in the HBO miniseries The Pacific. These veterans are national treasures. 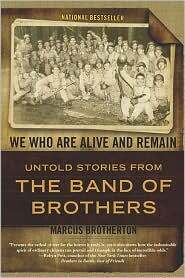 They endured unspeakable horrors, came home to America, and more than sixty-seven years later are still alive today. A national bestseller and Denver Post bestseller. 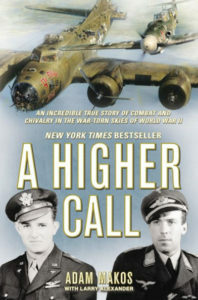 [Penguin] A German pilot encounters an American pilot in the skies during the horrors of World War II, but instead of death and destruction, a beautiful story of a courage, sacrifice, and brotherhood emerges in this New York Times and international bestseller. 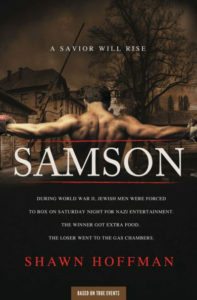 [HarperCollins] During World War II, Jewish men in concentration camps were forced to box on Saturday night for Nazi entertainment. The winner got extra food. The loser was sent to the gas chambers. Based on true stories. Currently optioned for a movie. Winner of 8 National and International Book Festival competitions including the New York Book Festival, the Los Angeles Book Festival, the Hollywood Book Festival, the Paris Book Festival, the London Book Festival, and the San Fransisco Book Festival. 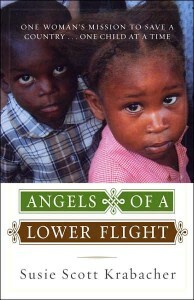 [Random House] A National bestseller and ECPA bestseller. 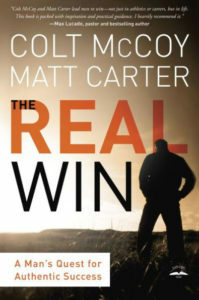 NFL quarterback Colt McCoy joins with his mentor, Matt Carter, in a motivational men’s message. [Tyndale Momentum] Lauren (“LoLo”) Scruggs, a 23-year-old fashion journalist, suffered a sudden injury that made headlines around the world when she exited a small plane and was hit by the still-moving propeller blade. A frantic 911 call, several major surgeries, and thousands of prayers later, Lauren lived. But she lost her left hand and left eye. 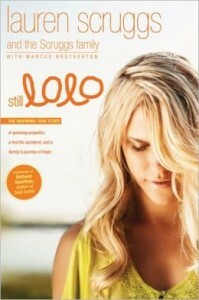 This is a compelling and fiercely beautiful story of determination, faith, and staying true to who you are—no matter what. [Penguin] A poignant memoir about Sgt. 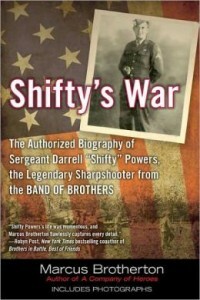 Darrell “Shifty” Powers—the highly respected and internationally known sharpshooter featured in the Band of Brothers. Shifty’s War is a tale of heroism and adventure, of a soldier’s blood-filled days fighting his way from the shores of France to the heartland of Germany, and the epic story of how one man’s skills and engagingly unassuming personality propelled him to a life of unexpected greatness. Readers say they absolutely love this book and even read it twice. [Penguin] Their lives were about courage, determination, loyalty, and lasting friendships. 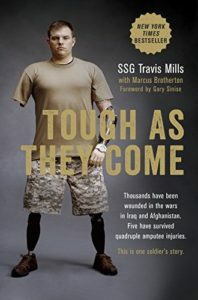 Within a company filled with heroes, each man has a story worth telling. 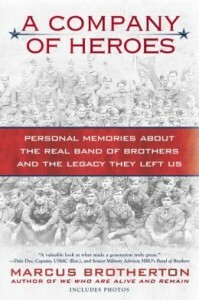 The families of 26 deceased paratroopers from Easy Company invite you to meet the Band of Brothers like never before. 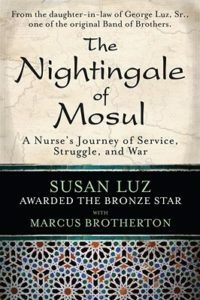 [Kaplan] Through the Peace Corps, inner city schools, working with adolescent psychiatric wards, and finally through service in Iraq, Colonel Susan Luz, who was awarded the Bronze Star for meritorious service, tells the story of a life dedicated to service, family, compassion, and country—and challenges readers to redefine their ideals of what it means to fight for what truly matters. by Martha Hawkins with Marcus Brotherton. 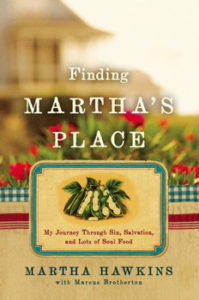 [Simon & Schuster] Born the tenth of twelve children in Montgomery at the height of the Civil Rights Movement, Martha Hawkins overcame poverty and episodes of deep depression to become a successful restaurateur and inspirational speaker. [Penguin] Twenty of the last surviving Easy Company members (AKA: the Band of Brothers) tell stories of combat from Normandy through the end of World War II in this New York Times bestselling oral history project. [Penguin] A national bestseller. 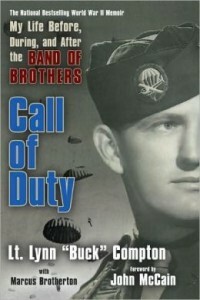 Lt. Buck Compton commanded the second platoon of E Co, 506th PIR and was portrayed by actor Neal McDonough in the HBO miniseries Band of Brothers. After the war, Compton went on to a career as detective, prosecutor, and judge. He served as the lead prosecutor in Sirhan Sirhan’s trial for the murder of Robert F. Kennedy. [Simon & Schuster] Susan Scott Krabacher experienced a remarkable transformation from centerfold to international humanitarian. At one time she had everything she thought she wanted, but she discovered that for her, true meaning and authentic affluence lay in Haiti, working among the world’s poorest of the poor.